"Hamilton County is a great place to live if you want to be a dog-fighter," says Lorren Ratley, an animal advocate from Anderson Township. "I checked the records in the Hamilton County Clerk of Courts going back to 2002 - a little over 16 years - and there is one case in the courts that I can find for dog fighting." 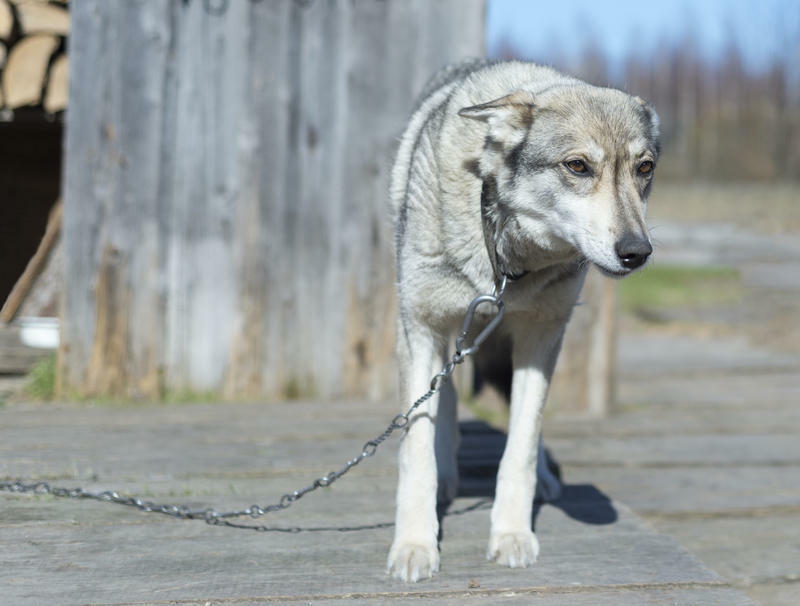 The county contracts with the SPCA to provide dog warden services, meaning patrolling strays and checking dog licenses, not necessarily "humane services," which would go further to include animal welfare and cruelty cases. This is a statutory difference outlined under Ohio Revised Code that County Budget Director John Bruggen says wasn't explicit in previous versions of the contract but would be moving forward. Ratley and others, like attorney Lisa Rabanus of College Hill, disagree with the county's interpretation and argue the dog warden should be performing those duties, too. "How you can try to say that under the contract that the dog warden is only going to do strays and licensing ... if that is indeed the case, then you all better pay them a lot less money," she told commissioners Tuesday. Ratley and others say that's a disservice and the SPCA should be doing more for taxpayers. They also say the SPCA provides little to no information when they've requested public records, whereas neighboring Butler County - which they hold up as a model - provides spreadsheets full of date and results. "When we ask for data we are told 'We don't have the manpower; we don't have the time; we don't have the money,' " Ratley says. SPCA CEO Jake White says the agency is trying to be as open as it can. He points out it has already begun providing weekly reports and had four groups come through and review its facilities. "I try very hard to be transparent, but we do have to draw the line because the trustees insist we draw the line that our 501(c)(3) [status] is protected ... we don't want to open up the private, non-profit side of our investigations to liable. We want to make sure that when there are investigations on the 501(c)(3) side that that private information stays private." Hamilton County has contracted with the SPCA for more than 50 years. The current contract is approximately $1.76 million per year. The 2018 contract was extended for three months and expires at the end of March. Budget Director Bruggen was poised to recommend a $1.8 million, three-year renewal with some modifications, but commissioners voiced their displeasure with that idea Tuesday. Instead, they'll likely consider a one-year contract with additional reporting requirements, and investigate overhauling the dog warden program. "I think it can be done better," says Commissioner Stephanie Summerow Dumas, who at one point also suggested a three-month renewal while opening the bidding up to other groups. "There's a problem here and we've got to find the answer to the problem," adds Commissioner Todd Portune, who points out new solutions could cost money the county doesn't have. "We have cut and cut and cut across the board with respect to county operations to the point where there's nothing left to cut," he says. "Cost, regrettably, is an issue for us in terms of what we can do." Hamilton County may be the only one left in Ohio not combining dog warden services with humane enforcement or a law enforcement agency. "We are, I believe, now the only county in the state that does this public/private relationship in this aspect," Bruggen tells the board. "Most of the dog wardens in the state are maintained by a public agency that does under a public mantle both pieces of the enforcement part of the [Ohio Revised] Code." Board President Denise Driehaus says that fact makes her curious to learn more about other options. A spokesman says Hamilton County Sheriff Jim Neil is interested in taking on the dog warden duties, including humane enforcement, such as is done in Butler County. Besides the aforementioned bidding process, another option would be bringing the service in-house. Bruggen says that would take six to nine months to set up and include some start-up costs for training, equipment, vehicles, etc. Both the sheriff's department and an in-house program would still require a contract with the SPCA for kenneling. Bruggen says that is the bulk of the dog warden program cost. He estimates it would cost $6-$10 million if the county built its own kennel in the future.